With the constantly declining price of data and with the telcos offering new plans each and every day there seems to be a fierce battle going on between all the telecom operators for capturing the market. Companies are desperately trying to bring in subscribers in mass numbers, and in this lieu, they are rolling out the most economic and high-value plans out for the public. In between all this hustle and bustle of the telcos and the growing market of new plans and offers we are here to help you find the best postpaid plan for you under the price of Rs 500. The five big telecom giants namely Reliance Jio, Bharti Airtel, Idea Cellular, Vodafone and BSNL, seem to compete like nothing we’ve ever seen before. The prices of their plans have been kept very strategically to present a tough front to their competitor, and amid all this, the common people definitely have a reason to be happy about. 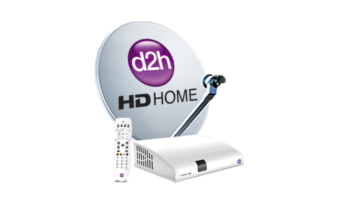 We shall walk you through these very impressive series of plans rolled out by these four companies to help you better decide which one is the best deal for your needs and your pocket as well. Reliance Jio is offering three postpaid plans under this segment. Although, the third plan is priced at Rs 509 and rises above the threshold of Rs 500 mark which we seem to be discussing here, the offer which this plan makes might be a tough one to refuse. The first plan that Jio offers for Rs 309 requires the subscriber to make a security deposit of Rs 400 and then provides the usual benefits in this segment like unlimited STD and local calls, accompanied with free SMSes. The daily data cap has been marked at 1GB for this plan, and the total amount of data comes out to be 30GB for the entire billing period (a month). Secondly, the next plan which is priced at Rs 409 offers the same aforementioned services like unlimited calling and alongside offers 20GB data to the user but without any daily cap. This Rs 409 plan requires the customers to make a security deposit of Rs 500. The third and most attractive plan comes in at Rs 509 which offers 2GB data per day which totals to 60GB data per month alongside free unlimited STD/local calling and the usual perks. It is noteworthy that post high-speed data limit usage the speed comes down to 64 Kbps for all the plans. Vodafone has also unveiled its similar plans in an attempt to counter Jio’s pricing, and it comes under the brand name of Vodafone RED. These plans from Vodafone are better than that of Reliance Jio’s. 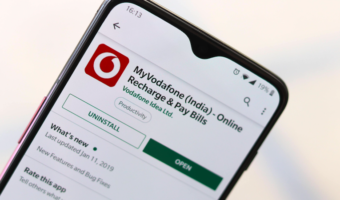 Currently, there are two plans by Vodafone RED under the price mark of Rs 500 – the RED Basic and the RED-Traveler R. The first plan which goes by the name of RED Basic comes at the price of Rs 399 and offers unlimited voice calls (local and STD), the data cap on the same has been set to 20GB for the entire month with no daily cap. But it is interesting to note that Vodafone allows data carryover unlike Jio in all its plans whereby up to 200GB of data can be carried over to the next month. 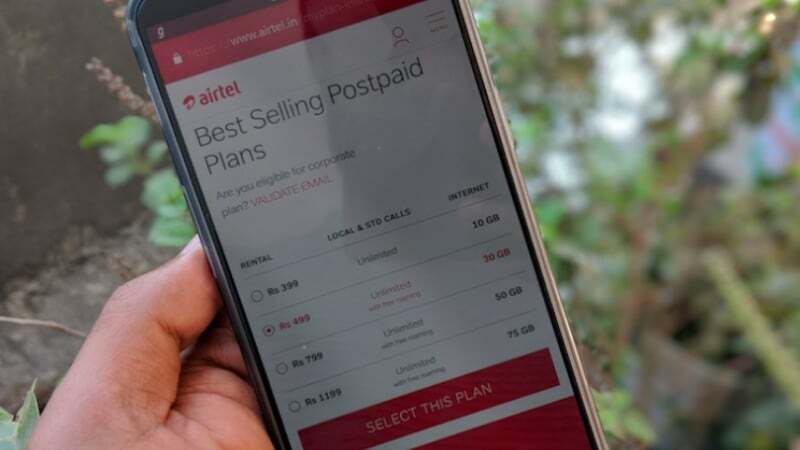 The next plan – The RED-Traveler-R- which is priced at Rs 499 appropriately offers unlimited STD and local calling with the monthly data limit set to 40GB per month and also has the data carryover option like the last plan. This plan however also grants the user with 100 local/national SMSes which we do not get to see in the RED-Basic plan. When it comes to postpaid plans under Rs 500, Airtel has given two options to the customers. The first plan coming in at Rs 399, similarly priced to the Vodafone plan offers 20GB monthly data, with Airtel also providing data carryover. The term which Airtel uses to define carryover is ‘Rollover’. So users will be able to save data for further use during next month. This plans also offers Wynk music subscription along with unlimited local/STD calls. The next plan in the Airtel portfolio is the one which is priced at Rs 499 and offers 40GB 4G data per month. This plan also offers above services like unlimited local/STD calling and subscription to Wynk music. 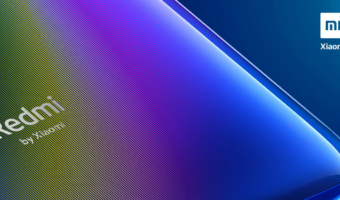 But in addition also provides users with access to Live TV and a handset protection plan which might be an attractive buy for some and of course this plan also comes with the option for data rollover. Idea also isn’t lagging behind in the race of providing best and affordable postpaid plans and has come up with its own new ‘Nirvana’ plan. The first plan in the Nirvana series comes for Postpaid customers at the price of Rs 399 and offers Unlimited local and STD calls with 20GB 4G data and free roaming. The highlight of the whole plan is the data carryover scheme which is similar to Vodafone and Airtel where users can save their data for further use. Also, Idea is providing customers with 3000 local/national SMS. The next ‘Nirvana’ plan priced at Rs 499 offers the same unlimited local/STD calling, free roaming, 3000 local/STD SMS and comes with 40GB 4G data per month. So we get to see a twofold increase in data quantity for just Rs 100 and 3000 SMS which is exclusive to Idea only. Although the BSNL offers plenty of postpaid plans for its customers but to make this a fair decision we shall keep our discussion limited to the plan which provides unlimited free calling. BSNL has plans starting from Rs 99, Rs 149, Rs 225, Rs 325 but the plan which we are interested in and which gives the competition to other companies is the one priced at Rs 399 and has been popularly termed as the ‘Holi Dhamaka’ plan. The customers of this plan are required to make a security deposit of Rs 500 and an activation charge of Rs 100. The free data provided in this plan has been capped at 30GB per month post which the data speed is reduced and like we mentioned this plan offers unlimited local/STD calls. Worest network in india.i was sent mail nodal officer but they also not resolved the issue.no activation nothing.if we will call them they will tell 24hours or 48 hours or 72 hours they will tell but not resolved. Reliance Jio offers prepaid recharge in postpaid connection too! I am using jio postpaid. But still i will recharge my connection like pre paid. Its called pre on post. yes it was a concept introduced by RCOM and now the entire legacy of RCOM is carried by Jio.